Small Alberta farmers are struggling to get their vegetables from farm to table, as they contend with a short growing season and competition from outside of the province. Small Alberta farmers are struggling to get their vegetables into the hands of potential consumers, as they contend with a short growing season and competition from outside of the province. "We are going extinct because people want cheap food from Costco and Walmart," said Mandy Melnyk, who owns Meadow Creek Farms near Smoky Lake, northeast of Edmonton. "We can't compete with all the types of imported foods that are coming into Canada." Supplying stores with local food is challenging because they require large quantities and regular deliveries, Melnyk said. "We can't produce enough for what they want," she told CBC in an interview. "We need to move our product quickly because it has a small lifespan." Selling her produce in farmers markets is not a viable option for Melnyk because of the long distances between her farm and urban centres. Melnyk relies on The Organic Box to take care of the distribution piece for her. "The Organic Box is truly the only distribution method that we have that buys local with integrity, and pays us properly for the cost of production." Danny Turner founded The Organic Box in 2009 to deal with his own distribution issues, as a small fruit farmer in the British Columbia Interior. The company acts as a local food aggregator, purchasing produce from farmers from Alberta and B.C., processing and sorting it, then selling the food to consumers through a weekly delivery system. Farmers don't have time for distribution when they are focused on maximizing the short growing season, Turner said. "We'd rather focus on the farming, get the farming done, 'cause you got to go as fast as you possibly can when we're in season." But The Organic Box can't purchase from every small farmer with produce to move, said Turner. He's lobbying government agencies at the provincial and municipal levels in the hopes of having a proper local food hub built in Edmonton. It would provide farmers with the infrastructure they need to scale up, with access to refrigerators, trucks, and processing and sorting machinery, Turner said. "If we really want local food to be part of our economy, it's now, because consumers are looking for it, businesses are looking for it, farmers are ready to grow it," he said. "The glue in between is what we are missing. There really is a rocket ship on the pad here that just needs a little bit of fuel and it's going to take off." Alberta Agriculture is well aware of the distribution issues that prevent small producers from accessing markets. 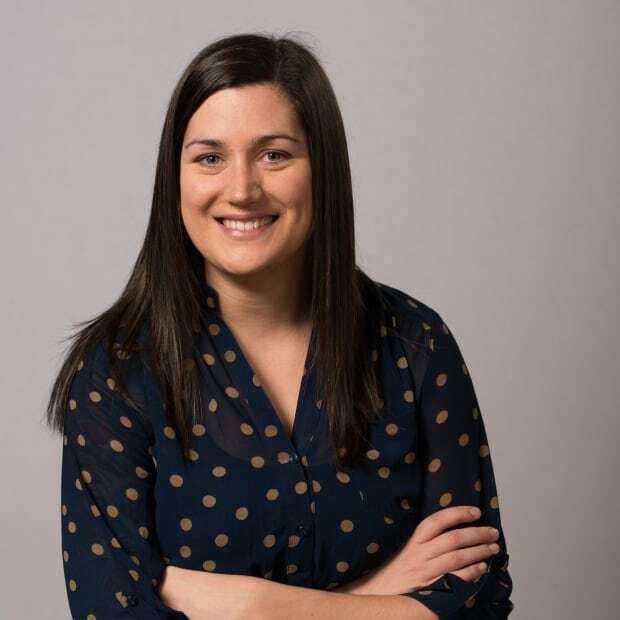 Businesses want to purchase local food, but ordering from several small producers isn't efficient, explained Eileen Kotowich, Alberta's farmers market specialist. "They need to have some sort of easy way to order the product and have it delivered to them," Kotowich said. The province is putting together a local food council that will look at possible solutions, including building a food hub. "How do we get to the smaller producers from hundreds of miles away from the large centres that want their product? How do we get it to them in a time-effective and cost-effective way?" Some producers have found a way to deal with the distribution problem on their own. 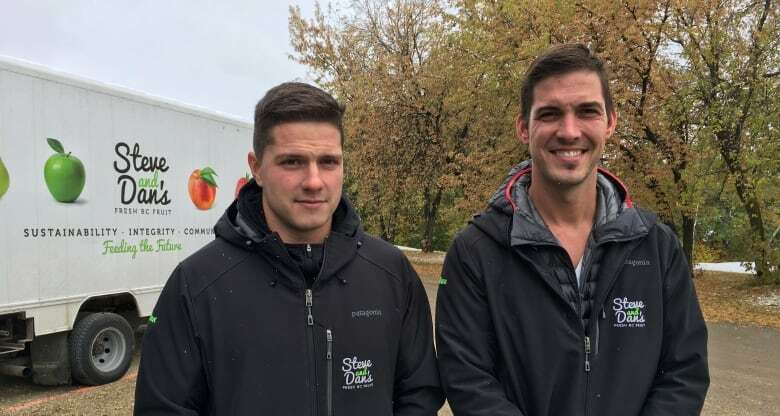 Steven and Daniel Souto, the brothers behind Steve and Dan's Fresh B.C. Fruit, built their own fruit warehouse outside of Edmonton. It's where they sort and store the fruits grown on their family farm in Oliver, B.C. The brothers also purchase fruit from small growers in the B.C. Interior to supplement their own. These collaborations strengthen the local food scene, Steve Souto said. "We make sure it trickles from our end all the way to them. If we don't pay them fair market price, then they're not able to continue to grow." B.C. fruit is in demand in farmers markets across Alberta, and helps draw in shoppers, said Daniel Souto. The brothers also sell vegetables they grow near Airdrie, and coordinate with other producers to avoid selling the same things. "We complement each other, we bring in more people, and people shop around and they have choice," he said. "It's friendly competition." John Doherty of Stone Post Farms, near Wildwood, Alta., is a newcomer to farmers markets, but isn't worried about the competition from bigger vendors. He's trying to win over Albertans that are shopping in big-box stores. "The dollars they spend on food have huge power," Doherty said. "If they shop local and support healthy, organically raised food, it'll shut down big industry. It won't be easy, but eventually we will win if we get behind our local producers."